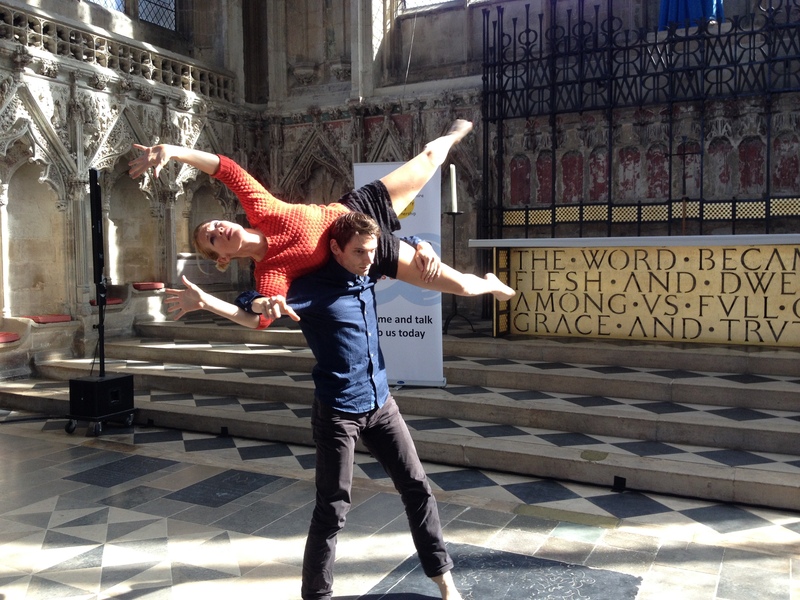 Infusion Physical Theatre was pleased to be a part of the East Cambridgeshire Community Safety Partnership! 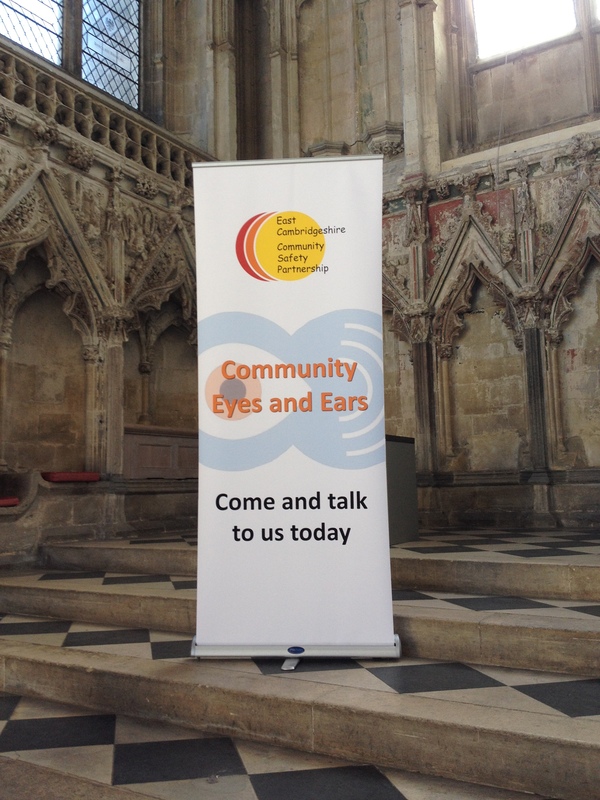 As part of their vulnerable persons awareness campaign called Eyes and Ears, we presented a snippit from our anti-human trafficking work Somebody’s Daughter, in the Lady Chapel of the Stunning Ely Cathedral. It was a powerful event, talking with city and county councillors, police men and women, and people from all sectors sharing their stories about the horribly local problem of trafficking. 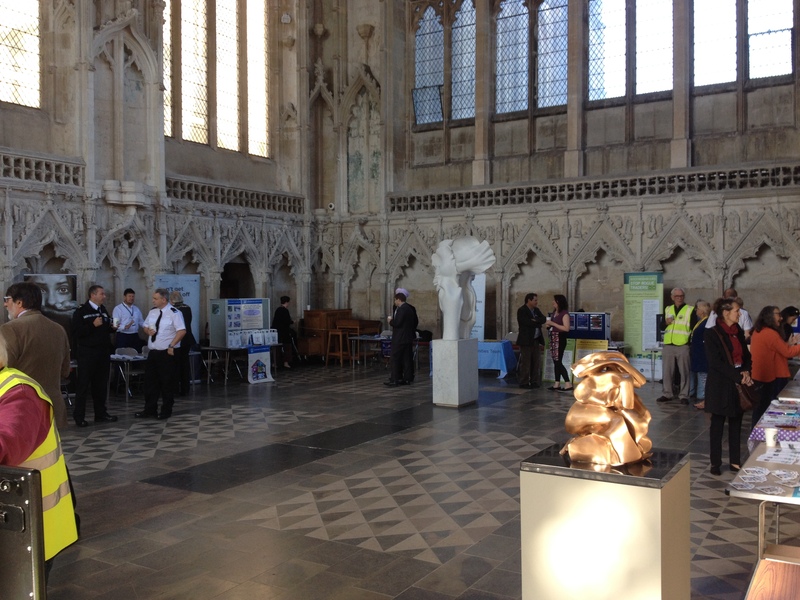 It was also great to hear about the many things people are doing to confront it. We were especially grateful for the kind words the police said, thanking us for our visual and compelling way of helping people engage with the topic. 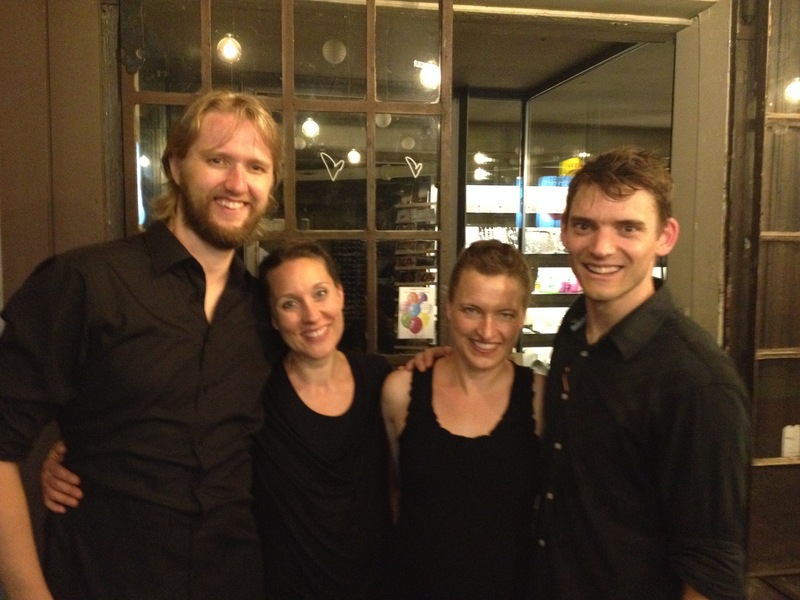 We hope to work with several of our new friends again soon! Thanks to the Romsini Centre for setting this up! 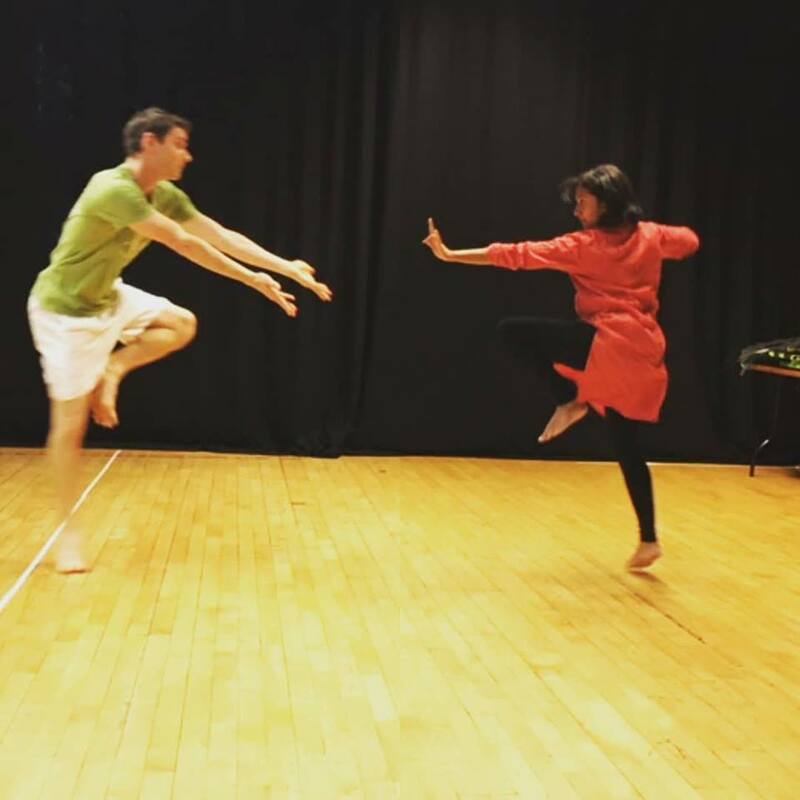 Infusion rejoins the creative team behind Apple n Spice, an Indian dance experience, and a fairy-tale mash-up: comparing the two step-mothers from eastern and western tales. Snow White and Grimhilde meet Ram and Kaikeye in the deep forests of folklore, in a contemporary/south Indian and shadow theatre fusion. 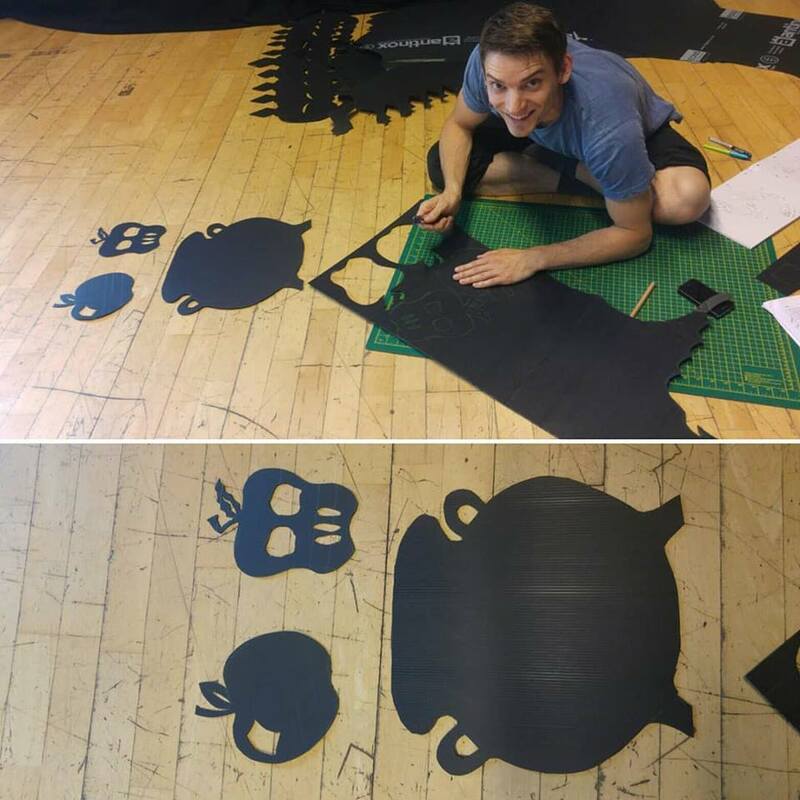 We’re back in the props workshop developing all new shadows, and choreography is well under way! Look for us in the Library Present Autumn Menu for Hertfordshire! 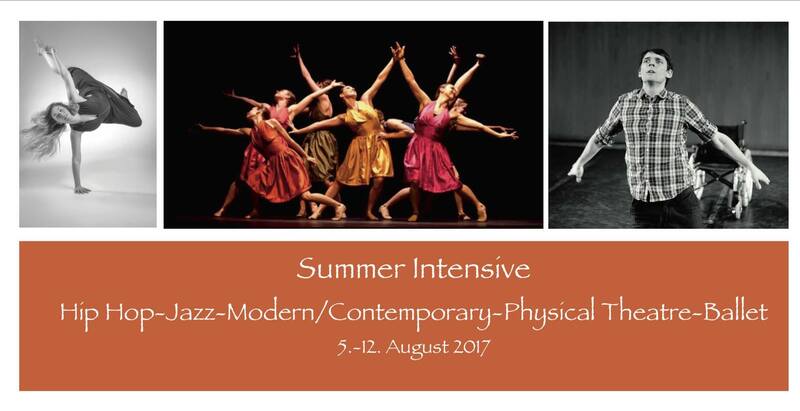 Infusion was pleased to offer physical theatre track as a part of the Ad Deum Dance Company summer intensive in Biel, Switzerland. 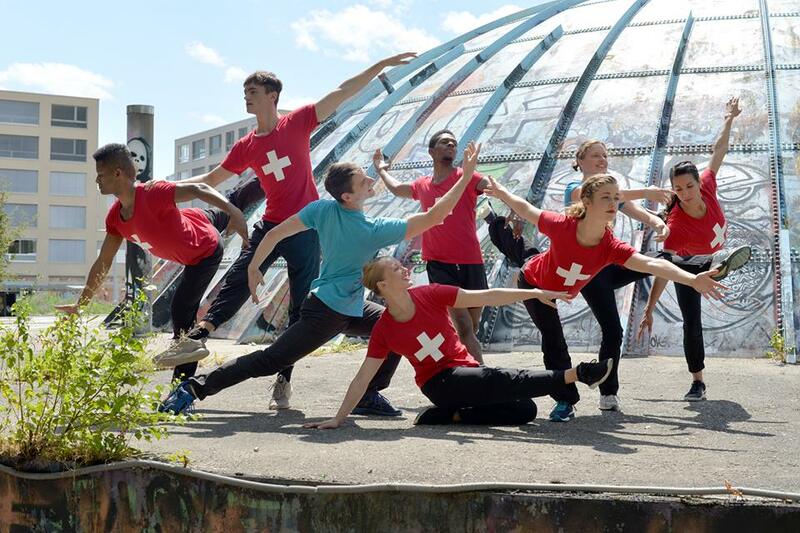 Students of all levels from across Europe gathered to dance and mime, filling the afternoon elective track of physical theatre with 8-20 students every day. Exploring movement concepts such as transfer of weights, statues, creatures, characters the students helped develop presentations to share at the end of the week. Their works explored ideas of war, peace, famine, shipwreck, and rescue. Compelling stories told through the body. The week finished with a double bill performance by Infusion and Ad Deum, celebrating beauty, sacrifice, joy, lament, freedom, and yearning. 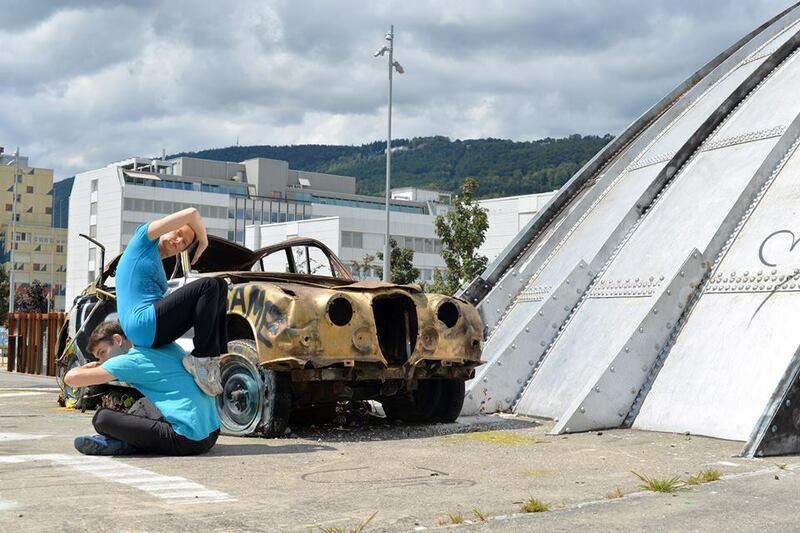 Follow this Infusion teamed up with Swiss mime duo Artbeat, for an evening of antics and improve in a the beautiful city of Thun. Audience suggestions helped tell the story of Little Red Riding Hood and the Big Bad Dragon, like you’ve never seen it before! 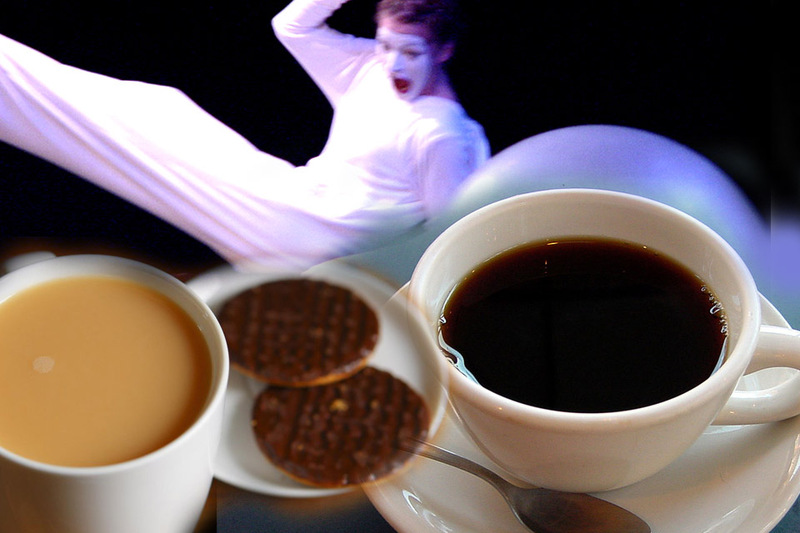 We are launching a café-style evening of mime and dance at the Trumpington Village Hall, CB2 9HZ, Cambridge. Parking available from Beverley Way. Come and enjoy a triple bill of dance in a casual café-style evening in the village hall, brought to you by Infusion and other local artists! Grab some friends, grab a cuppa, and enjoy the show. Email or call us for more details. Trumpington Village Hall. Parking available. We have a brilliant team of dancers, mimes, composer and lighting/sound designer committed to making this project happen. But we need people to get behind us, and get this important show out of the rehearsal studio, and off the page, and into the minds and hearts of people across England. We also hope to tour internationallty in the future. Will you be one of our partners, to make this vision come to life? Infusion Physical Theatre is joining international moving force of modern dance Ad Deum Dance Company, to offer a physical theatre elective track at this powerhouse workshop of beauty, artistry and athleticism. Daily classes in Modern and Ballet at beginner, intermediate, and advanced/professional level, and an exciting selection of electives, including a special focus on mime and physical theatre, will ensure one of the best dance and mime workshops you’ll find all summer. Participants will stay in quaint community hostel in the rolling farmland countryside of Wiler, Switzerland. Enjoy fresh dairy milk with your scenic breakfast, and take a provided pack lunch into the nearby town of Biel for the 3 studio locations pertaining to the various levels of the workshop. Evening activities and a full performance by the faculty during the week allow students time to refresh, hangout, and be inspired. 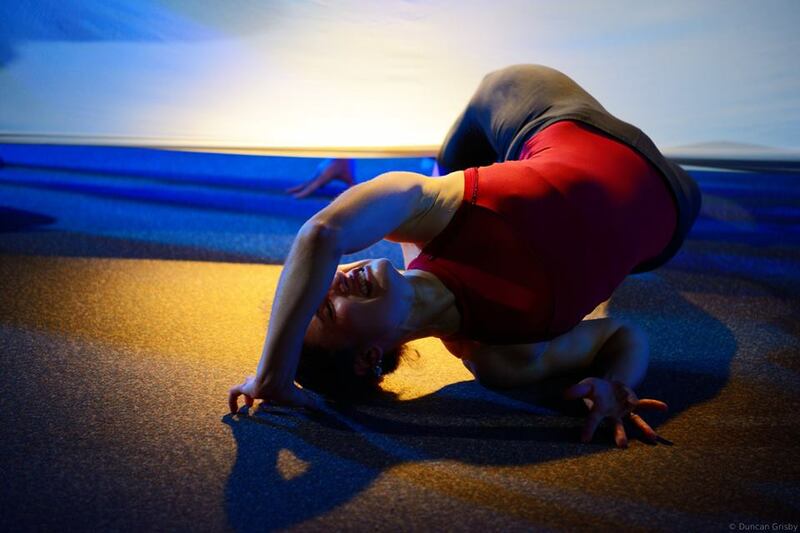 Joining international moving force of modern and contemporary dance Ad Deum Dance Company, Infusion offers a physical theatre elective track at this powerhouse workshop of beauty, artistry and athleticism. 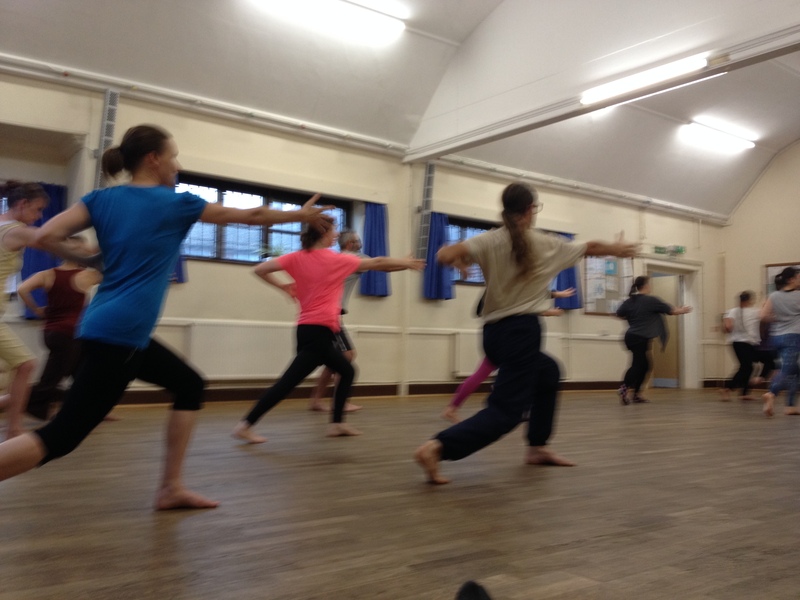 Daily classes in Modern and Ballet at beginner, intermediate, and advanced/professional level, and an exciting selection of electives will ensure one of the best dance and mime workshops you’ll find all summer. Price is all-inclusive… click here!